Students of San Vicente Elementary School in San Vicente, Oriental Mindoro, through Fr. 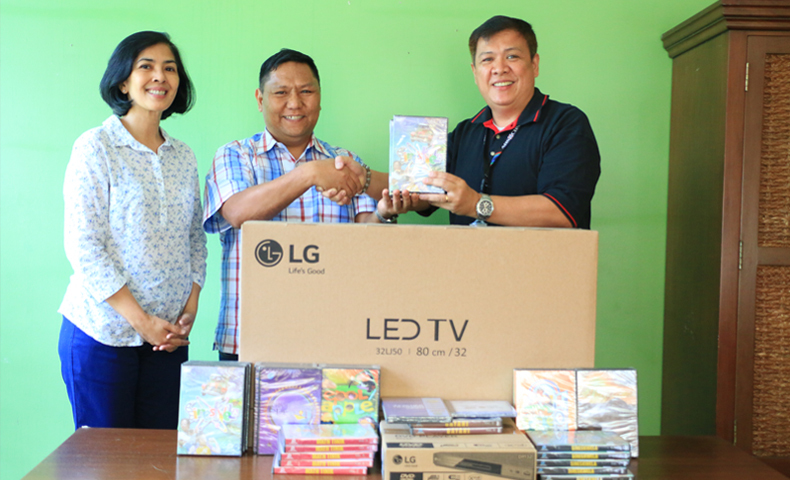 Lawrence LLona, SVD, received an educational television package from ABS-CBN Lingkod Kapamilya Foundation, Inc.’s Programa Genio – a special project under ALKFI’s Operation Sagip. A photo opportunity during the turn-over of ETV package with Fr. Lawrence. 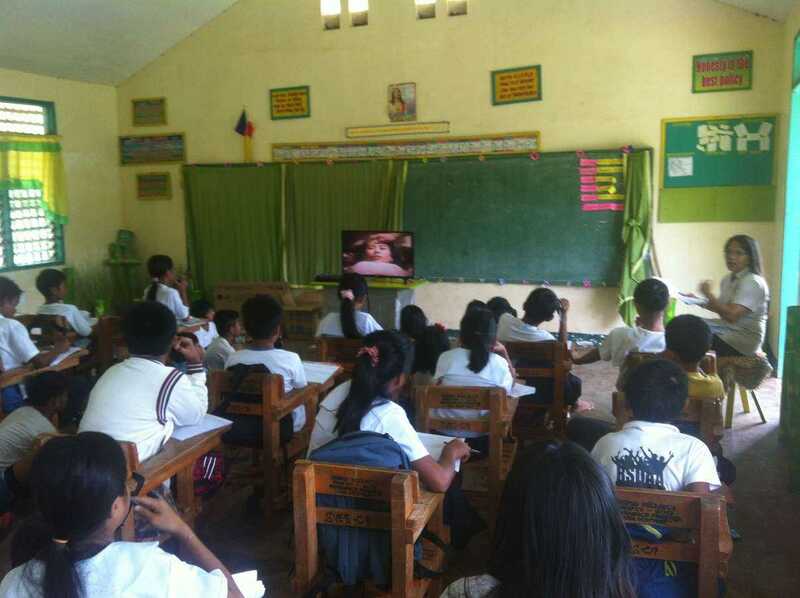 An ETV package has DVD materials of educational shows that were developed to enhance learning through multi-media – Sineskwela (Science), MathTinik (Mathematics), Hiraya Manawari (Values Education), Bayani (Philippine History), and Epol Apple (English). It also includes a teacher training video, an episode guide, and a 32-inch television and a DVD player. 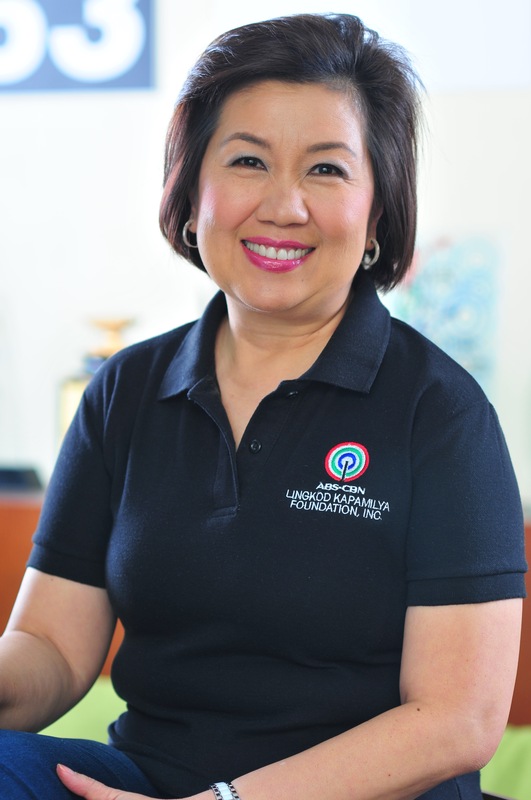 ABS-CBN Foundation International shouldered the cost for the television and DVD player for San Vicente ES. San Vicente ES is a school with indigenous people from the Mangyan tribe.